JCIR is committed to publishing informed and insightful analyses from both Western and Chinese scholars worldwide and stimulating the scholarly debate on contemporary China in its new role in the current transnational era of international relations and international political economy. Special encouragement is given to those who want to develop China-oriented theories of international relations and international political economy. 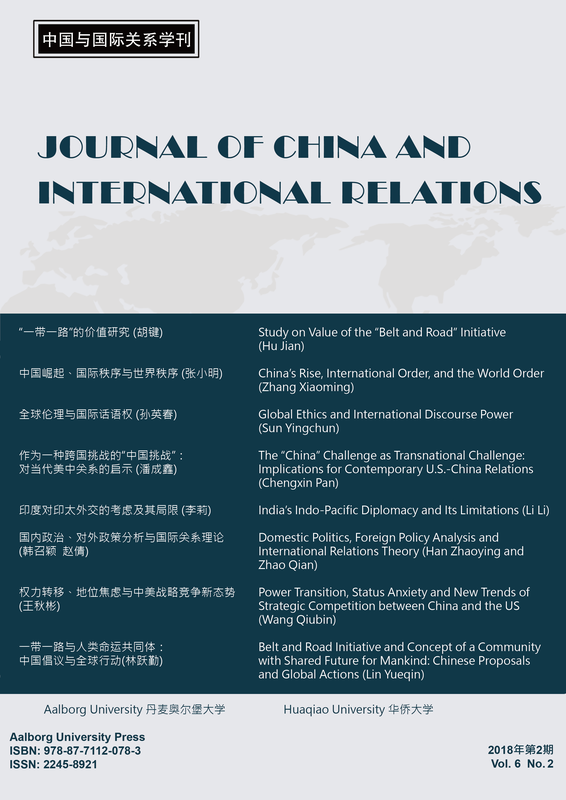 JCIR invites the submission of original articles on China and international relations in social sciences and humanities. All articles are peer reviewed. Book reviews are also welcomed. JCIR is peer reviewed and published online twice a year: An English language issue in early summer and a Chinese language issue in late autumn. JCIR appears on the Danish Bibliometric Research Indicator (BFI) authority list for series (level 1). The list is issued by the Danish Ministry of Higher Education and Science. Deadline for the next English language issue: 15 January 2019.